Cancellations made more than 46 days to arrival date: the full $250 per person deposit will be forfeited, Cancellations made within 30-45 days prior to arrival: a 50% penalty applies, Cancellations or no-shows, made within 8-29 days prior to arrival date: No refund will be granted. The resort is managed by Tom and Ginny Allan, Canadians who first visited the islands on vacation over 14 years ago and haven't left since! They are assisted by a strong team of local and international staff whose aim is to make your vacation as hassle-free and enjoyable as possible. 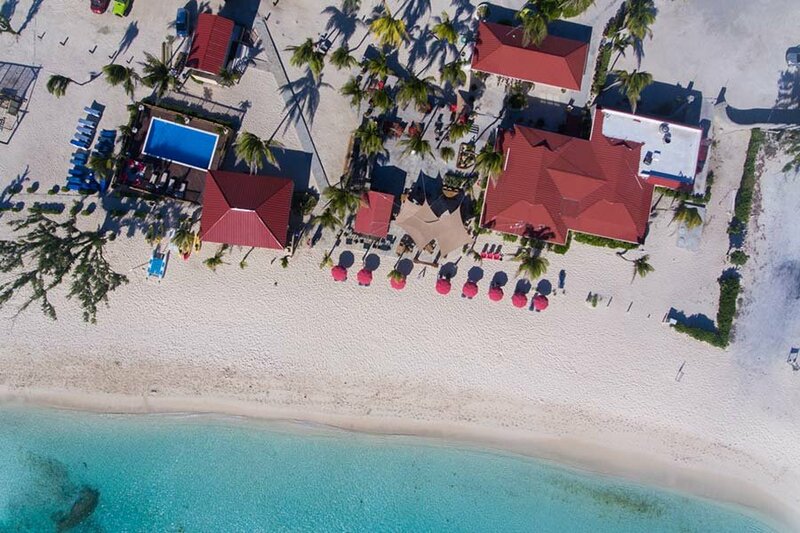 Bohio is now a Grand Turk resort offering all-inclusive or customized dive and hotel packages all on one idyllic site. Bohio ranks as one of the best Turks and Caicos Dive Resorts and is perfectly situated on a sinuous curve of pristine beach. We pride ourself on offering simple elegance in paradise. Located at the northwest corner of the island, Bohio Dive Resort boasts the finest restaurant on island, two bars, its own on-site dive shop, 16 beachfront rooms, freshwater pool and as much sun, sea and sand as you can cope with. Bohio is a unique Grand Turk hotel; its rooms all have west-facing ocean views for you to enjoy the sunset from your private balcony. The accommodations are simple and clean with all Standard Double Rooms furnished with two double beds and Standard King Rooms with one king size bed. All rooms have private balconies, a/c, ceiling fan, table & chairs, tv and mini fridge. The Corner King Rooms also have a kitchenette with microwave, kettle, coffee maker and mini fridge.